Established in 2002, Vic’s Bingo is owned and operated by Digital Entertainment Services Ltd. The site is licensed and certified in Costa Rica and offers over 100 bingo patterns in addition to casino games such as slots, video poker and keno. Vic’s Bingo provides its members a secure gaming environment with its award winning software developed by Parlay Games with the latest encryption technology. The bingo room combines social media features in its games to offer a complete online bingo experience with lucrative bonuses, promotions, jackpots, and 24/7 customer support. Vic’s Bingo is powered by Parlay Games software, which is recognized among the top online bingo software clients. The software has plenty of customizable features while the funky pink interface sets the tone for a great time at the bingo halls. It provides access to progressive bingo games other Parlay sites with jackpots frequently reaching thousands of dollars. Vic’s Bingo software is known for reliability and speed and comes in a downloadable and instant play version as well. Vic’s Bingo offers all the possible variants of bingo which includes 30-ball, 75-ball, 80-ball, and 90-ball games with over 100 patterns that keep every game as interesting as the next. Games are available in free play mode for players to experiment with all of the site’s products before they play real money games. One of the popular games is 75-ball bingo while the Penny Bingo room is the best place for the budget player where cards cost 5 cents, 10 cents, 25 cents and up to $1. 75 Ball Bingo is popular in the United States since the 1940s and is now one of the most played online bingo games. 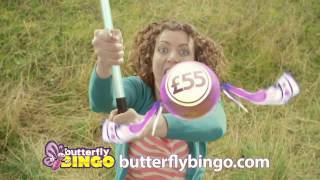 The 75 Ball Bingo card is a grid of numbers, five across and five down. The online version is similar to regular bingo played at land based bingo room although the automatic features built into the software make the game simpler. Tickets can be pre-bought while the auto daub feature crosses off numbers called while you can sit back and enjoy the payouts. There are free bingo games available 24 hours a day in addition to hourly $1000 coveralls and progressives. Specialty games include TGIF, Speed Bingo, Moonlight Madness, and Happy Hour, to name a few. Sociable bingo chat games take place at the Quarters Room with plenty of fun and interaction between community members. Vic's Bingo provides a variety of special bonuses to make playing at the site special every day. Whether you are a first time depositor or at the Bronze VIP level, there are bonuses to be found. The bingo room offers an immediate $25 welcome bonus to every player that signs up without the need to deposit any money. Every new player can start out with a whopping 2015% bonus on their first three deposits. This includes a 500% deposit bonus on the first deposit, 700% deposit bonus on the second deposit, and 815% deposit bonus on the third deposit. The bonus is automatically credited once players meet the wagering requirements. Based on the VIP level, there’s a special $25 up to $500 bonus available on a player’s birthday. Vic’s is never short on promotions either with special offers every day of the week to keep bingo fans actively entertained 24/7. There are huge cash prizes to be won in the Million Dollar Party Room every Saturday while there are $500 fixed prize games in the Mid Day Specials at the Dollar Room every Tuesday, Wednesday and Thursday. Vic's Bingo's Taboo Room is where players can speak their mind and leave inhibitions behind every day between 11Pm and 2am EST. The All Stars Tournament on Mondays, Wednesdays and Fridays features amazing cash prizes up to $5,000. Make sure to subscribe to Vic’s Bingo’s newsletter and make the most of competitions and cash prizes every day of the week. Everyone at Vic’s Bingo is a VIP with special rewards for loyal members right from the day they sign up and make their first deposit. Players earn points for every wager made which can be accumulated while they work their way up the 12 VIP levels ranging from Basic to Master status. The rewards get bigger at each level with numerous benefits such as higher payout limits, special bonuses, access to special bingo tournaments, and much more. Vic’s Bingo offers an array of deposit and withdrawal methods although the choice is limited when it comes to US players. However, Visa, MasterCard and American Express are some of the convenient credit card funding options while US players also have MoneyGram, Western Union and bank transfer to deposit and withdraw funds from their bingo account. Other banking options include Neteller, EcoCard and InstaDebit. Players can cash out a minimum of $50 and maximum of $500 per week. To get in touch with Vic’s Bingo and have their queries attended to promptly members have a choice of email and telephone. The site also features a live chat facility where their customer support staff will instantly attend to any queries.